A generous donation has been made to the Doris Day Horse Rescue and Adoption Center recently. Equuspring, a Huntington Beach based plastics molding company, contributed ten pasture waterers for utilization at the new Doris Day Horse Rescue and Adoption Center. The rescue sits on 25 acres of land and is located in Murchison Texas. It is home to over 1200 rescued animals, and provides a much needed safe haven for horses that are suffering from starvation, physical abuse, or who have been abandoned, neglected or have otherwise become impacted by these hard economic times. 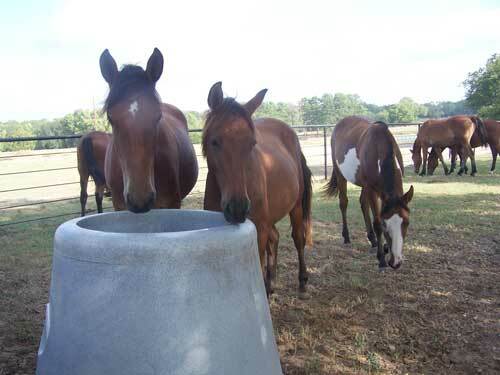 The rescue provides medical care, proper nutrition, exercise, training, and housing for these equines. 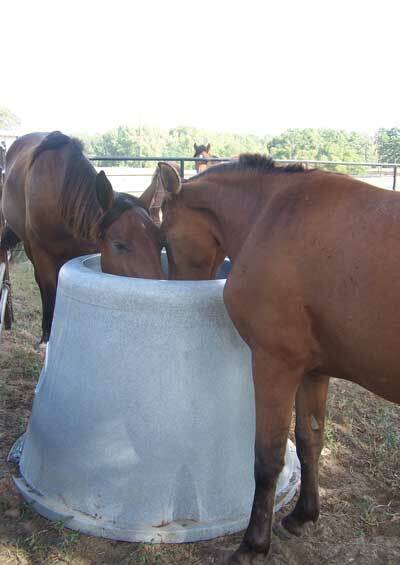 Horses at the rescue center ejoying a drink from the pasture waterer.